The Lingfield Park Resort is set in rural Surrey countryside midway between Sevenoaks in Kent and Crawley in West Sussex. Now one of Marriott International's premier resorts, juggling three race tracks, a huge estate and a hectic fixture programme is all in day's work for the energetic team reports Jane Carley. 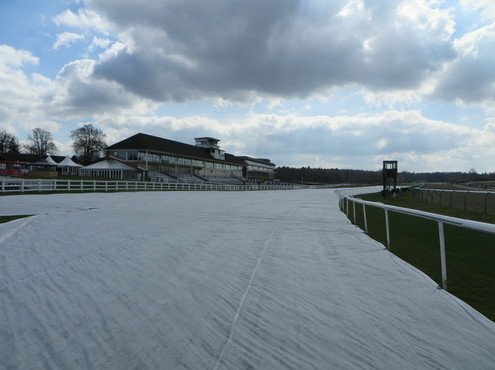 The British Horseracing Authority relies on all-weather courses to keep the sport going in periods of bad weather, but the 'Beast from the East' challenged even these tracks in March. 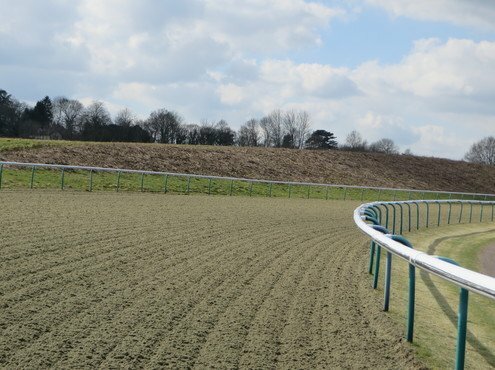 With a lot of hard work and a tiny bit of cooperation from the weather gods at the 11th hour, Lingfield Park prevailed and ran its ironically named Spring Derby on a day when snow and ice brought most of the country and all other racing to a halt. It was part of a baptism of fire for new Clerk of the Course George Hill, who took up the role at Lingfield in November 2017. "The extremely low temperatures, and in particular the wind chill, made preparing even an all-weather surface very difficult and cost us our meeting on the previous day," he recalls. "We had minimal snow, but the moisture in any snow flurries simply froze into the surface." 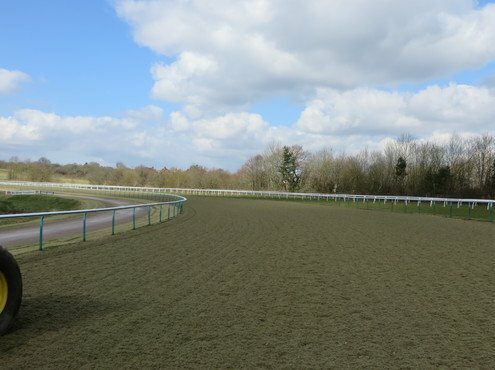 Groundsman George Ash has been at Lingfield since the first all-weather surface was installed, so has experienced its management in all conditions. All of his experience and resilience was needed on this occasion. The 'Beast from the East' produced windchill down to minus 12OC and, after admitting defeat with the first day of the meeting as the surface repeatedly froze, the race was quite literally on to save the Saturday fixture. "We decided that the only option was for George Ash and myself to work the track all night," explains Estate Manager Jon Harris. "We used every tool in the machinery fleet except the waterer! But it was our new Salford duck's foot cultivator that really won the day, as we were able to get into the surface without ripping it up too much and prevent ice re-forming. It shows the value of being flexible." By 6.00am the surface temperature had risen to a balmy 1OC and the meeting was saved. 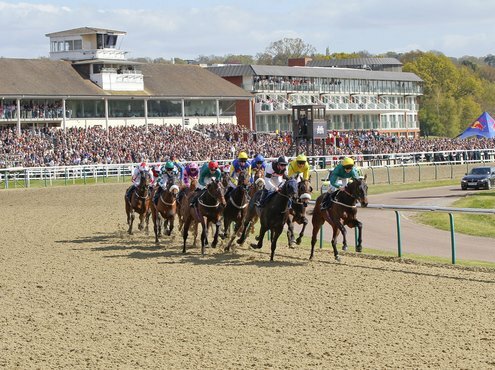 After a Spring Derby watched by Lingfield's largest ever TV audience, the team then had to prepare for a national hunt meeting forty-eight hours later. It was a success that would have been unthinkable in the early days of all-weather racing, suggests George Ash. "We started out in 1991 with a material called Equitrack which was very firm and hard; water would lie on it in pools after heavy rain!" he recalls. 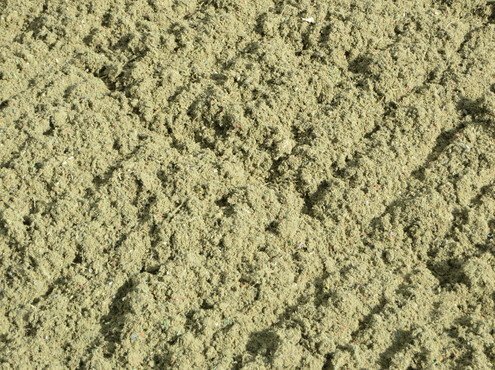 The current Lingfield surface is Polytrack, a mixture of sand, wax fibre and jelly cable and Jon explains: "There's a range of different surfaces in use on UK all-weather tracks, but even the same product can differ, depending on its composition and where it is in its lifespan. Whilst working the surface to get the optimum racing conditions, we also aim to minimise its degradation and thus extend its working life." The previous Polytrack was replaced in 2012 after twelve years use, and Jon comments that techniques have evolved for the newer mix. "We use power tools less frequently as there is a lot of fibre in this mix - as the fibre is broken down the surface becomes 'dead'," he says. 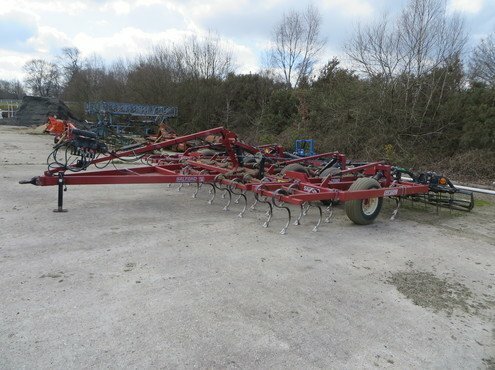 Powered cultivators have been largely replaced with the new 6m pull-type Salford spring tine cultivator, sourced by surface suppliers Martin Collins. Key to its effectiveness is a 'duck foot share' and the ability to angle the frame hydraulically to 'bite' into the pad, whilst working at speeds up to 8kph. The wide tine spacing and large roller also resist clogging. "It came from Aqueduct in the USA, and everyone was a little wary of it initially," comments George Hill. "I asked Martin Collins to give us a demonstration and we have been very impressed with what it can do." The Salford spring tine cultivator made a significant contribution to saving the Spring Derby meeting in March, breaking up the all-weather surface and tackling lumps of ice forming as snow fell / One of a pair of Cousins Gallopmasters used to maintain and finish the track - 18 years old and still going strong! Stalwarts of the surface preparation fleet are a pair of Cousins Gallopmasters, which have been in use for an impressive eighteen years! 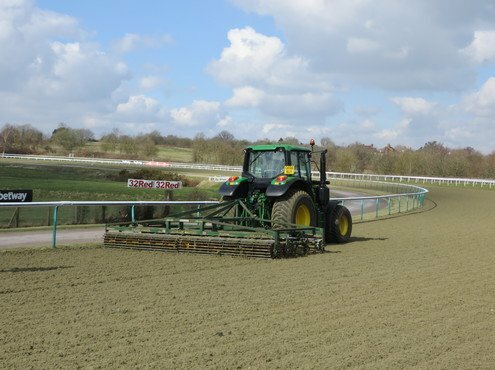 The Gallopmaster then works down to 7.5cm, and is used to prepare and finish the surface according to weather conditions and usage. Each Gallopmaster has sixty-six 'shoes' and tines are changed every twelve weeks - switched round when part worn and then replaced. Rollers are also replaced periodically as they are worn out of shape. 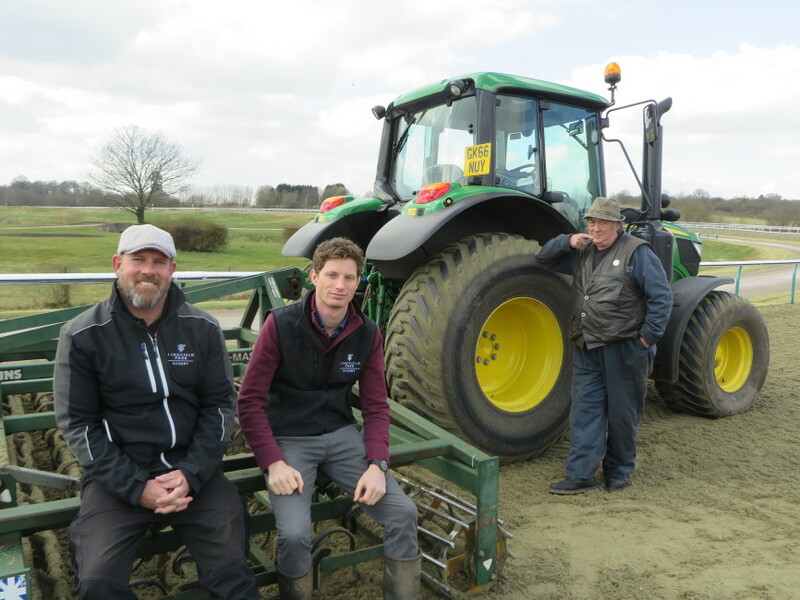 "We have fitted wheel track eradicators, which George Ash finds useful to remove compaction caused by the tractor wheels ahead of the main tines, ensuring that the surface is consistent," says Jon. 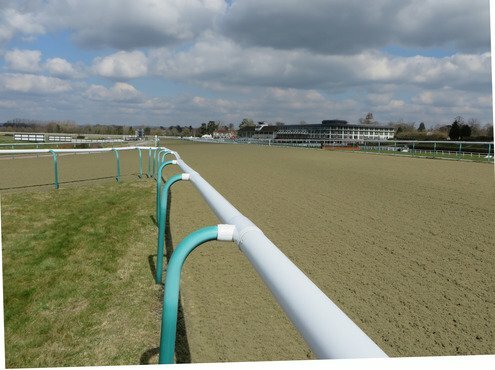 As the first racecourse in Britain to go all-weather, Lingfield has a unique sharp 1m 2f left handed circuit, with a distinct camber into the back straight. A grading blade is used to redistribute material away from the inside rail, before working it deep and 'wheeling in' to re-compact ahead of the Gallopmaster. This can take three to four days in total. 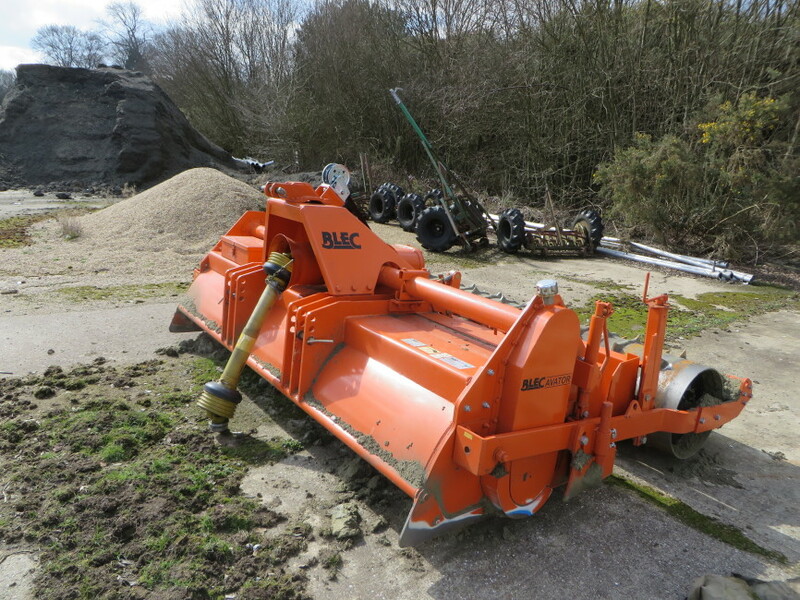 "However, we sometimes need to work deep to break up a 'pad' of compacted material below the surface, and for this a Blecavator powered rotavator comes in, although we would only use it a few times a year," comments George Hill. "The work is very hard on wearing parts, and it's vital to keep the machinery well maintained." 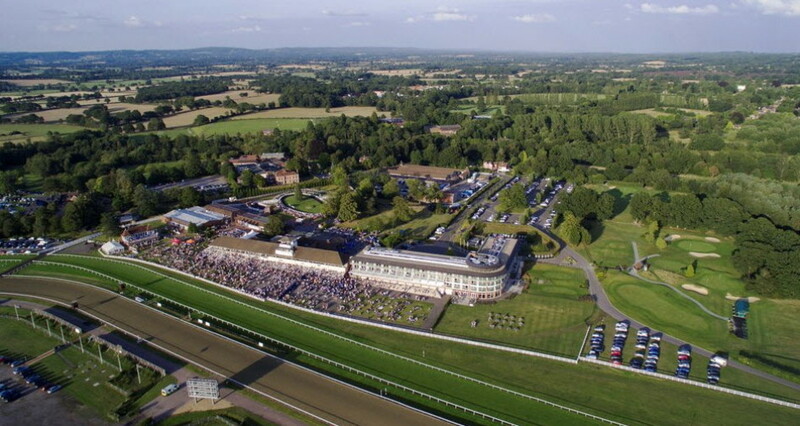 Lingfield hosts an impressive fifty-two all-weather meetings each year, mainly in the winter months, whilst the all-weather track is also used for 'bumpers' - flat races aimed at novice horses during jump meetings. Add to this track hire for local trainers to gallop horses and conduct stalls tests, and management of the maintenance programme alone becomes quite a task - one which, along with other paperwork such as race planning, keeps George Hill in the office for half his time. "I do have an assistant, but I'd rather be hands-on," he admits. In winter, the team are really up against it, with the short days meaning earlier starts to racing and a shorter window for grounds maintenance, plus the weather to battle. "The wax in the surface goes cold and hard and can clog the Gallopmaster, although the latest rollers are better than the original crumble bars. The only solution is to keep working it," says Jon. 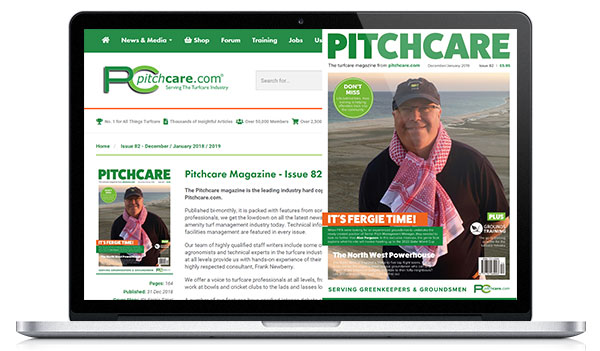 In summer, the opposite problem occurs -the surface gets very hot and loose, and can cause kickback and, recently, several flat meetings have been switched to turf or mixed cards. "It means less preparation and watering," explains George Hill. "On the round course, the flat and hurdle tracks share a running line, while we also have a 7.5 furlong straight dedicated to the flat. We jump from November to March, and the hurdlers are kept on the inside and outside to save ground for the turf Derby and Oaks trials in May." As the only UK track with flat racing on turf as well as all-weather, plus nine jumps meetings over the winter, it sounds like George and his team have to be the ultimate multi-taskers, but he comments that in general the three disciplines complement each other. 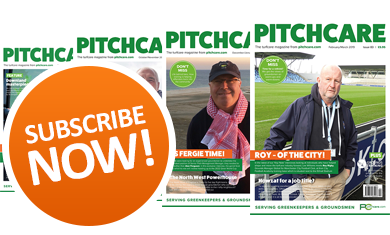 "Having the all-weather for bumpers has been well received and we get good fields, as it allows trainers to avoid heavy ground in the depths of winter. We work the track a little deeper than for flat horses, and these races are first on the card, which also pushes the turf races back half an hour on a frosty day. The all-weather is then used for the emergency vehicles following the runners in the jump races." However, this year's combination of a never-ending winter and an early Easter put extra pressure on. Lingfield generally misses the worst of the snow, so the snow blade is rarely deployed for its intended use, and George comments that the white stuff can actually provide insulation for the naturally warm surface and prevent ice getting in. The continuing wet and cold conditions have taken a toll on the entire course however, and the work to prepare for the All-Weather Championships on Good Friday, which boasts a £1m prize fund, was substantial. "We fleeced the home straight on the jumps track to help it recover enough to be used for presentations at the championships, and also every bit of turf in the parade ring to try and get that to green up," explains George. "I got a special dispensation from the BHA to use the pre-parade ring instead for four meetings, and I'm very pleased with the results." As Estate Manager, Jon has responsibility for the entire 450 acre estate, which also includes Lingfield Park Golf Club and the Marriott Hotel. There is a total team of twenty including six groundstaff plus Jon, George and three gardeners, all of whom pull together when needed. "There was a gorse bank above the 3f bend into the home straight which shaded the all-weather track, meaning that it took longer to thaw out," George gives as an example. "We took it out in December and it was a big job. but has made a significant difference." "In the run up to Good Friday, we washed all of the running rail which took six lads two days, we cleared the parkland between the railway station and the car parks and even tidied up the station itself. Nothing is left to chance - down to booking extra tractors to tow cars out of the car park in wet weather." As TV trucks were due to roll in for the Spring Derby, even some overgrown trees down by the entrance got some attention, maximising parking space in the area. Everyone mucks in, says Jon, right down to the head greenkeeper rolling up fleece on the jumps track and his team helping out on racedays. 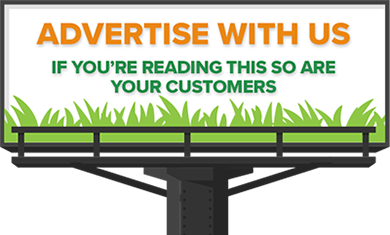 "Racecourse and golf machinery obviously has dedicated tasks, but we have used the semi-rough mower to cut the centre course, the greens mower to sarel roll the lawns and the big fertiliser spreader on the golf course. There are also lots of hedges to cut all around the estate which is George Ash's department!" With hotel and conference activity 365 days a year, the site is permanently on show, so presentation is vital - the team are constantly painting, tidying or mowing. George Hill admits that he is on a steep learning curve, just two years into his career as a Clerk of the Course, having moved from the comparatively tranquil Brighton. "I knew that the tight window between the end of the jumps season and the Good Friday showcase was going to be a challenge, even without factoring in the severe weather," he comments. "I have learned an enormous amount already and I have some very knowledgeable staff to call on - I'm always keen to ask the lads for their opinions on how we work." George also consults regularly with clerks from other all-weather tracks, including visiting the new facility at Dundalk in Ireland. "Everyone works slightly differently and it's good to get their views." He adds: "An important part of my role is in maintaining staff morale, as it's a demanding programme through the winter - just six meetings in April is starting to feel like a holiday! But we are so fortunate to have amazing tracks and facilities here, and there's a lot to look forward to."